Pretty much every event needs volunteers, whether it’s a non-profit fundraiser or an annual conference. Volunteers are key to the overall success of any event. Volunteers provide their time, passion and knowledge in exchange for recognition and hopefully a few fun perks. Volunteers do not come for FREE so always ensure you budget to take care of them – t-shirts, ball caps, gift bags and remember to feed them! If there is a cost to park at the event site, make arrangements to have complimentary parking available or offer bus passes. On site ensure you have an area where volunteers can go for breaks. If the event takes place outside make sure it is covered and that you have appropriate refreshments available. If they are expected to wear a t-shirt or uniform take care that it is clean and the correct size. Show respect for the people that volunteer by ensuring their name tag is spelled correctly. Set them up for success and plan ahead to make sure that the tasks they are scheduled to do are well organised so you don’t waste their time. 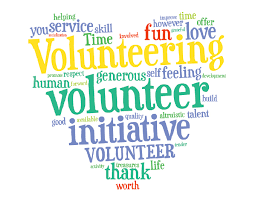 And don’t forget many of the people that volunteer support a number of events and causes and can be a great resource for other potential volunteers.